After rebounding from correctional retracement 50%, Eurodollar is trying to resume moving downwards. Possibly, the price may reach a new local minimum quite soon. 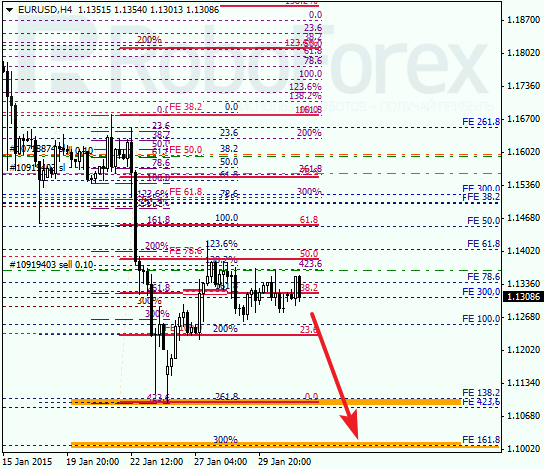 The main target is the group of fibo-levels near 1.1000. 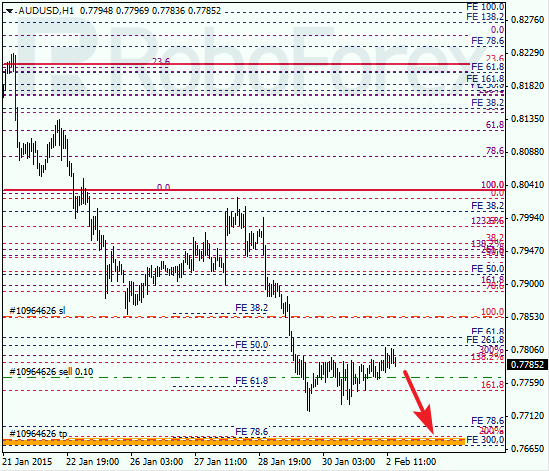 At the H1 chart, the predicted target of this correction was confirmed by local retracements. Probably, in the nearest future, the current short-term correction may finish and the pair will continue moving towards its predicted targets. Australian Dollar continues falling quite fast. 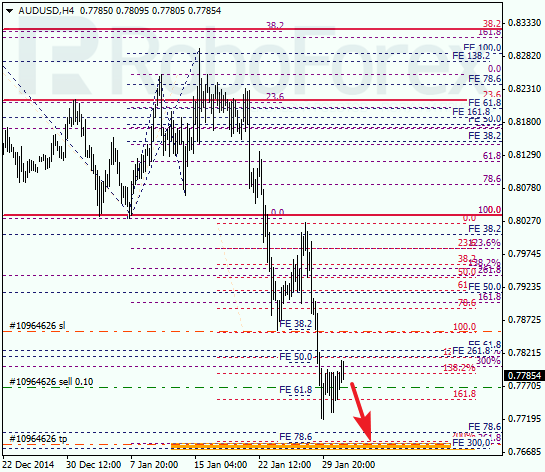 The main target is the group of lower fibo-levels at 0.7680. If the market rebounds from this area, the price may start a more serious pullback upwards. 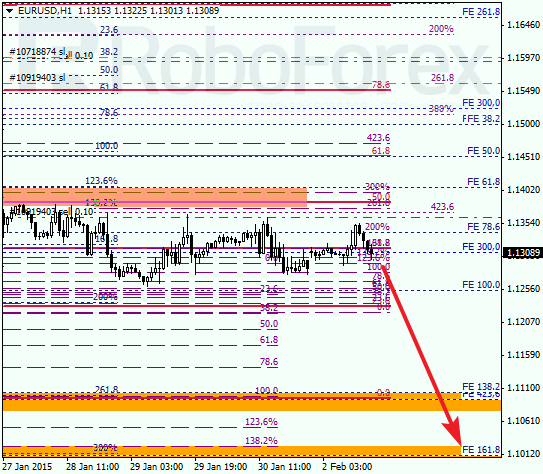 At the H1 chart, the predicted targets are confirmed by local retracements. In the near term, the current correction may yet continue, but as soon as the market starts falling again, I’m planning to move the stop loss on my orders to the new maximum.